EAGLE, CO – Eagle YogaFest announces its fifth annual yoga festival, a weekend of mindful movement in a picturesque setting of Colorado’s Rocky Mountains. The festival features a full schedule of classes, lectures and activities by a unique line-up of instructors. Experience a different kind of yoga festival, providing a weekend of Slow Flow Yoga, aromatherapy, live music, dynamic classes, Yin Yoga, lectures and much more. There are multiple classes catered to all levels of practitioners and enthusiasts. Participants will relax, renew, and restore while enjoying the unmatched, panoramic views in Eagle, Colorado. 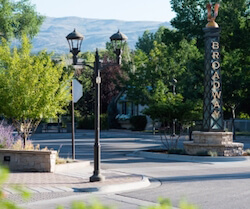 Eagle is located on the western slope of the Rockies, halfway between Denver and Grand Junction, a small mountain community ready to welcome YogaFest attendees. Practice yoga against a backdrop of blue skies and high-desert climate. A 5-minute drive from area hotels, you can park your car and walk to our yoga venues, outdoor stages, the Expo and many local coffee shops, restaurants and other attractions.